After much anticipation and hard work by students, SMA Sisingamangaraja held its WORDS English Storytelling Competition on March 3, 2018. ETA Sheldon Ruby was thrilled to see his students excitedly preparing to share their stories to a small crowd in the school’s English Club Classroom. 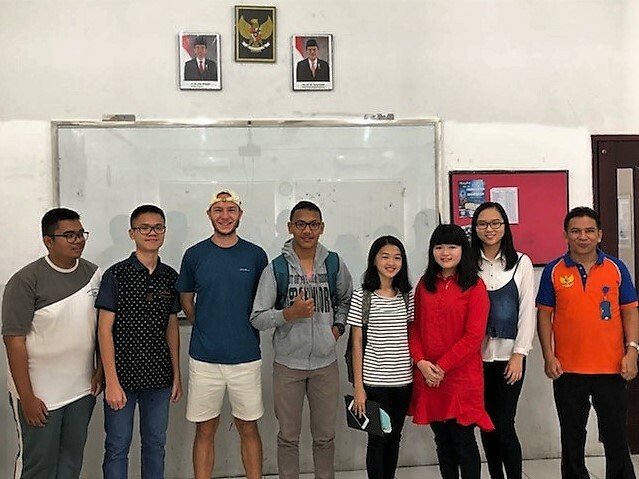 Many of the students included incredible talents within their stories and Sheldon was happy to get some more insight into what his students do in their free time. Elizabeth Kho won the competition with her story, “The House.” After discovering that one of his students was a phenomenal singer, Sheldon persuaded him to perform in SMA Sisingamangaraja School’s talent show later that day. His student hesitated at first, but Sheldon bribed him with a frisbee from the US. The talent show was also a great venue for Sheldon to present certificates of participation to all of the WORDS Competition competitors in front of all their friends and family.